Apple's free iOS 11 update launched on Tuesday and comes packed with some cool new features, ranging from augmented reality apps to a more natural Siri and improved navigation. While some Apple customers may still be deciding whether to order the new iPhone 8 or the premium iPhone X — and the 10th anniversary edition is reportedly way ahead in that race — iOS 11 is now available for current iPhone owners to download and test out. "We’re going to take the world's best and most advanced mobile operating system and turn it up to 11," said Apple's Senior Vice President of Software Engineering Craig Federighi. The software update is available for recent models of the iPhone, iPad and iPod. So if you have an iPhone 5S or newer, you're good to go. You can check to see if the download is ready for you by going to settings, general and then choosing software update. Once you have the new iOS 11, it's time to explore. 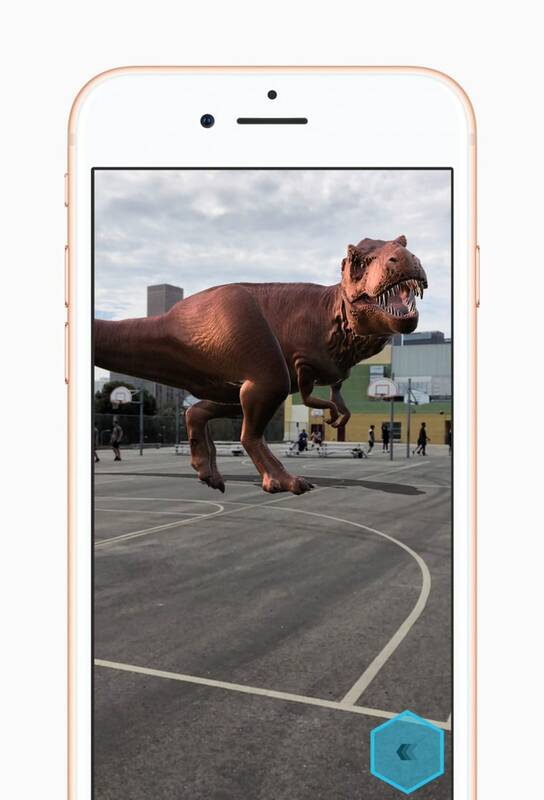 The most hyped update to iOS 11 is the addition of new augmented reality apps that experts say could be a game changer when it comes to how you use your smartphone. While you might be getting the best possible augmented reality experience from the new iPhones, the apps will still work on older devices. From there, you can search through a trove of new apps. Some early ones to look out for include Ikea's app, which lets you place virtual furniture to see how it may look in your home. Lowe's has an app that will let you measure everything from a bedroom to your kid's height. And there are some fun ones, too. GIPHY has an app that lets you place fun GIFs in your real-life setting. And the new Fitness AR app will allow you to visualize hikes, rides, and runs on a 3D map. Apple is doing the virtual equivalent of taking those pieces of paper all over your desk and moving them into one super-organized stack. The new Files app in iOS 11 lets you integrate third party apps, so you can have a single dashboard to manage everything you're storing in the cloud. Browsing and searching can now happen in one place. In addition, Apple is making it easy to move content between a suite of its apps on an iPad by using a drag and drop feature. Tap and hold to select an image or text and then drag it wherever you'd like it to go. Siri has taken acting lessons and now delivers his or her lines with a little more human-like pizzazz. Through “on-device learning,” Siri can also suggest items that may be of interest to you. If you’ve been Googling flights to Reykjavik, it might suggest an article about Iceland. Apple says the feature is entirely private and only stays on a user’s device. Apple doesn't want you to get lost... even at the mall. Apple Maps is adding floor plans of malls and airports, making it easier to figure out where your favorite stores are or what restaurants are near your airport gate. The updates also extend into the car. Improved navigation features can also suggest lanes when you’re driving, so there’s no more last minute lane switching in order to make your turn. Apple is also adding a “Do Not Disturb While Driving” feature, keeping you focused on the road and not on your phone. You can fine-tune your preference by going to settings and "Do Not Disturb." If you opt in, your iPhone can detect when you may be driving based on Bluetooth connections or vehicle movements. The screen will stay dark and notifications silent while you drive. Users can also decide if there are some people who should be able to “break through” the mode, in the event there’s an important message. The good news: You can now send your friends money in an iMessage. The bad news: You might have to wait a little longer for this feature, which Apple says is coming "this fall." Here's how it works: Tap the button in iMessages to pull up a prompt for Apple Pay, which will allow you to send or request money, all without leaving the app. Validate with Touch ID (or Face ID) and you're all set. The move directly positions Apple to compete with PayPal's Venmo and the Square Cash app, both popular solutions among a younger demographic looking to split rent payments, dinner bills or to just get a quick loan from a friend.